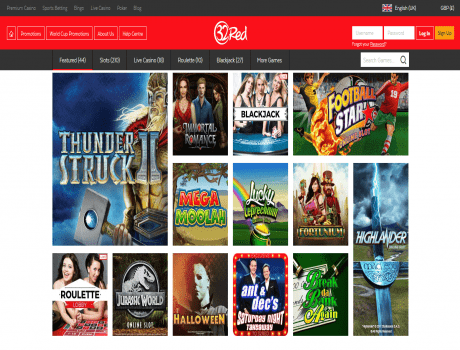 Register at 32Red today and receive £10 free. No deposit, No delays, No fuss - just £10 in real casino chips instantly added to your account, on the House. Play over 500 casino games with the chance to win up to £100 in real cash! This promotion is only available to new cash accounts registered at the casino between 16:30:00 on the 4th February 2014 and 23:59:59 on the 31st August 2018. Unless specifically invited, existing account holders and guest players do not qualify. Bonus Balance and subject to a playthrough requirement of 50 times before any withdrawal can be made.